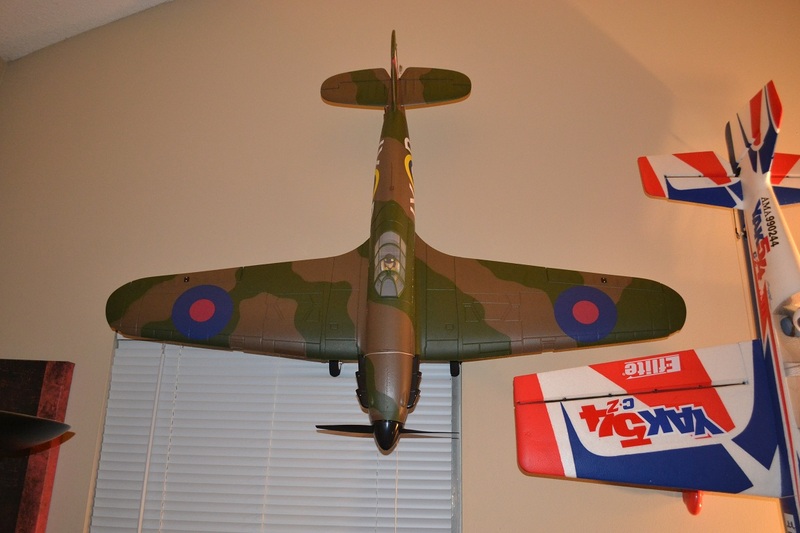 So I was asked after purchasing the EFlite BNF Hawker Hurricaine 25e from Atlanta for the unbelievable price of $139.00 to do a quick build thread. This plane came like all of the EFlite, Parkzone, and the rest of Horizon Hobby's stuff packed well, no issues whatsoever. The first thing I always do is remove the prop. Then proceeded with the main landing gears. 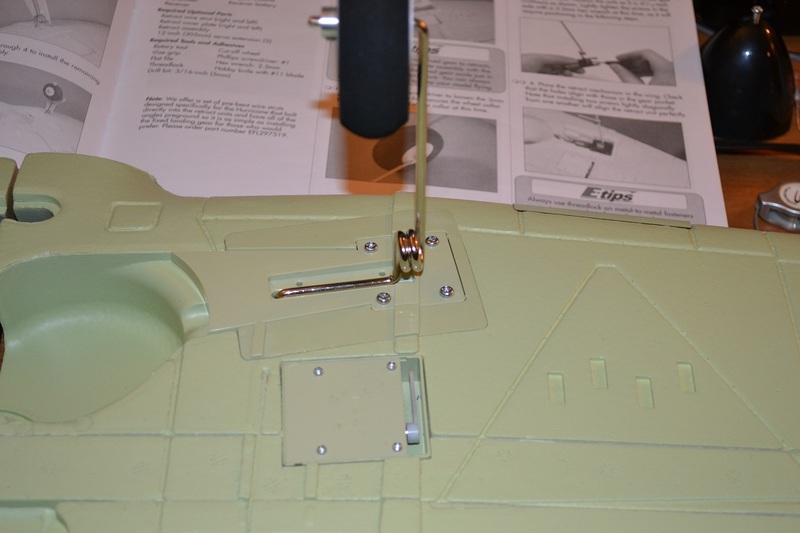 Install cover and screws on both wings. Check and pre-fit carbon spar for the wings. 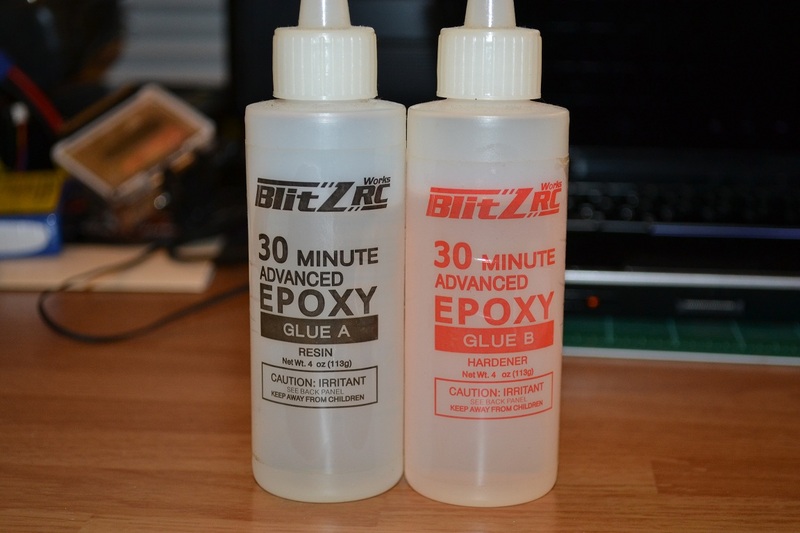 Mix the 30 min 2 part epoxy. 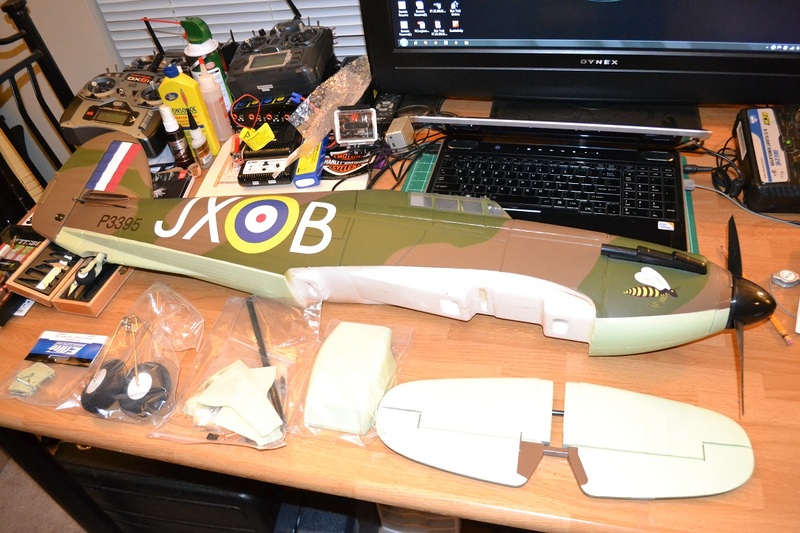 Put a very thin coat of the epoxy on one side of the spar and place in wing. Slide the 2 wing halves together. Forgot to take pics of the following as I was into building and not photo taking, sorry!!! Epoxy the edges of each wing with a thin coat on each side, then place the forward wing dowel plate. Attach with screws provided. Place the 2 wing bolt plates after applying thin coating of epoxy on these as well. 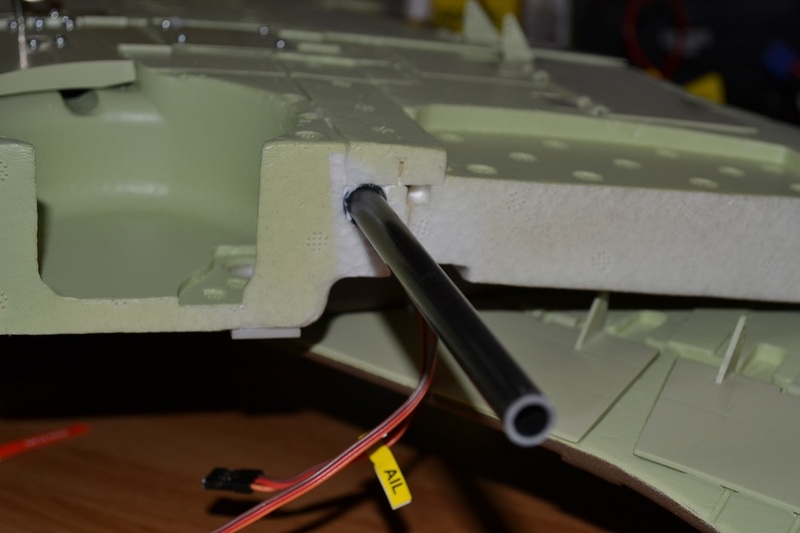 Pre-fit the horizontal stabilizer and 30 mix epoxy the carbon spar and the stabilizer tube. Press fit the horizontal stab in the plane until it fits properly. Let the epoxy dry. Locate the 2 linkages for the flaps. Test flap control and adjust as necessary. 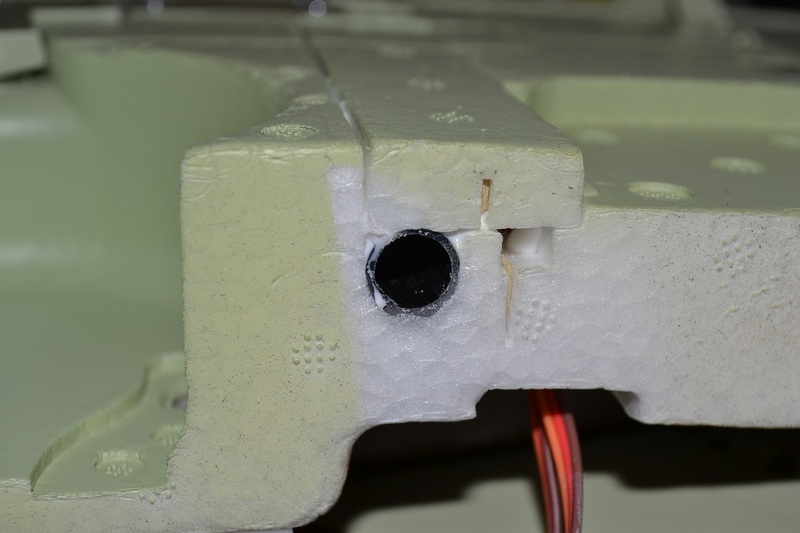 Attach the elevator control rod to the elevator control horn. Check all control surfaces. 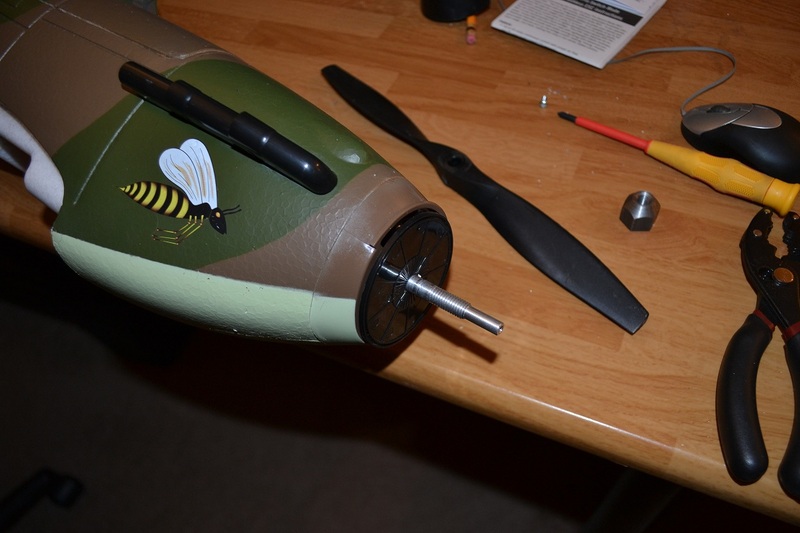 Attach prop and spinner, and get ready for some WWII Aerial flight!!! I hope this wasn't too boring!!! Cool, now for a flight report and maybe a video? Ah the Hurricane.....far too often overshadowed by the Spitfire. Once the weather and work slow down enough to get to the field, I will be happy for the flight report and the video. Hopefully I can get someone to film for me!!! What, you didn't get in on the deal? I think the flight went well with the exception of the flap issue , which I will have to work on and the landing of course! But nothing broke, just a little dirt on the prop. Whew, I will fly another day!!! How quickly do the new posts drop off of the new posts page? Quite quickly. Use "Today's Posts" instead. How would you rate the Hurricane overall? Seems like a very good deal to me! It was a very good deal... Here is my honest review. If you purchase just the motor and the speed control you have already spent more than the 139.00 that I paid. But, you get a plane that is easy to build and is not that common at the field. I think it flew very well and had plenty of power. No bad tendencies in the air with the exception when activating the flaps. 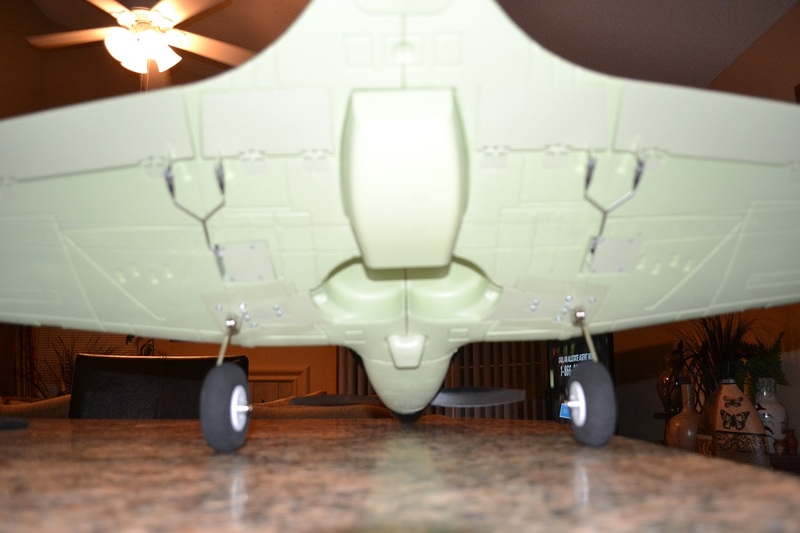 I have never owned a plane with flaps so I am sure that I have done something wrong in the setup of the flaps. I will get it figured out with some help with my club members. This plane is well worth the 109.00 for the Plug & Play or 139.00 for the Bind and Fly without question. 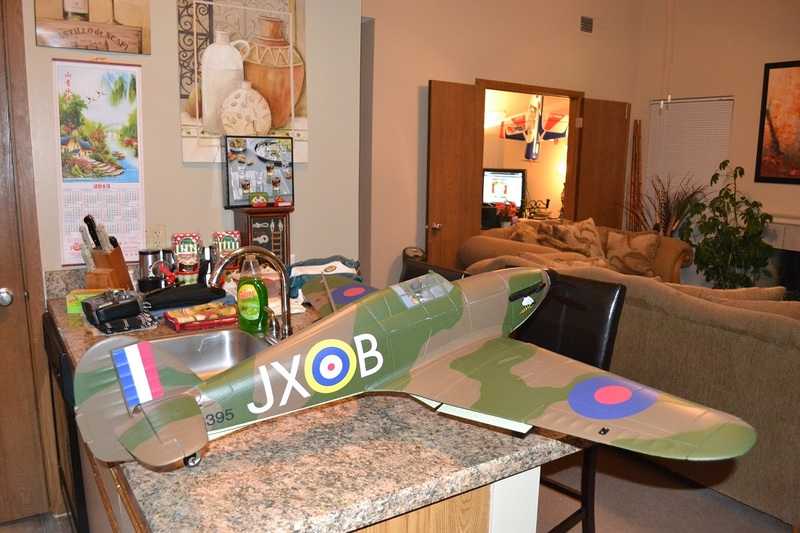 All of the EFlite planes I have purchased have been what you would expect so I would say buy it if you can, you will not be disappointed. It will take a 4 cell as well as this is the same motor and ESC as my Yak 54 and that is what it comes with as recommended. Very cool. I am quite surprised at the price of this plane. Definitely a winner. 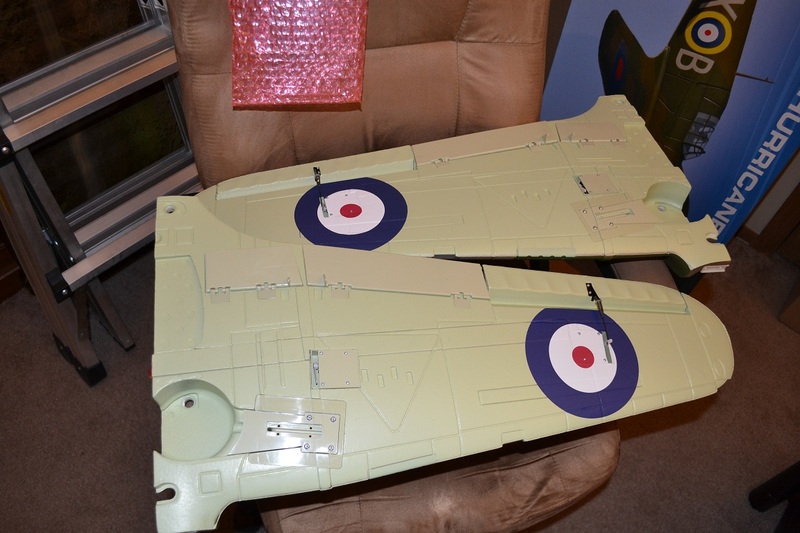 was just putting together my new Hawker. 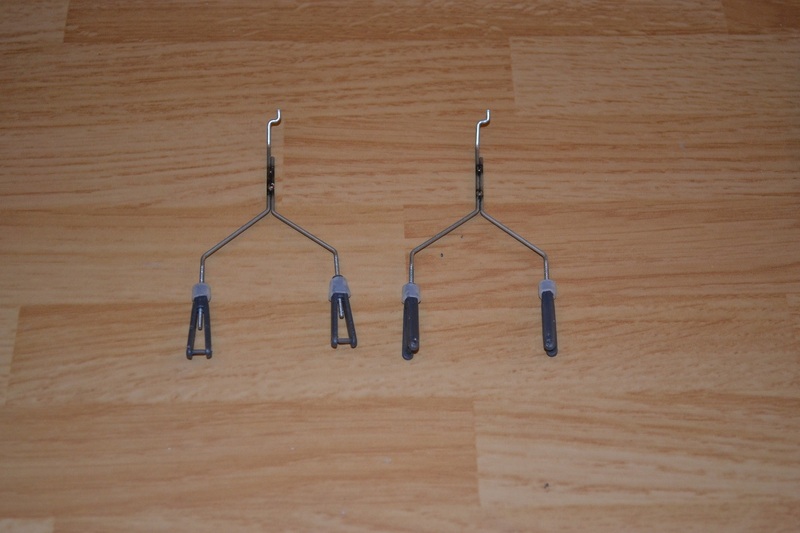 After I finished I had some spare parts that I cant seem to figure out where they go and I dont see them in the directions either. Any help would be awesome, I would hate to think I forgot something somewhere. Bonez, those are just bonus parts in honor of the spirit of Christmas. 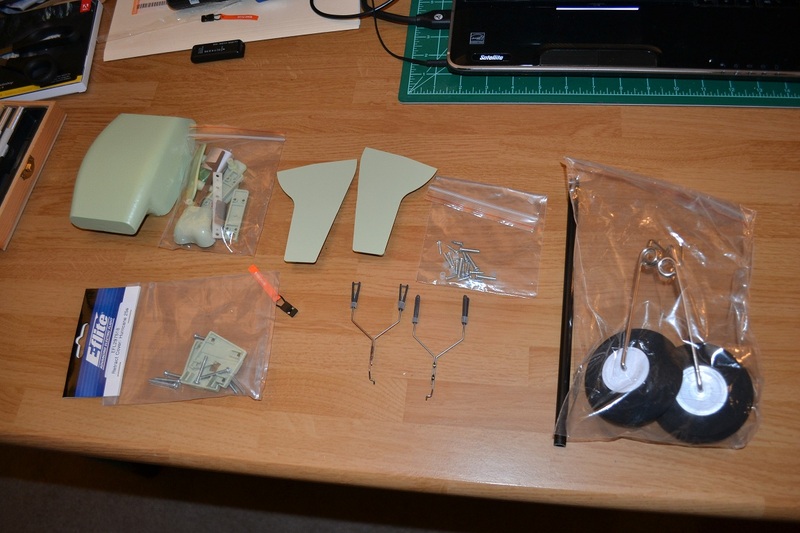 The green pieces look like landing gear thingy do's. Of course, I really have no idea. Hopefully Majik or someone else will weigh in! LOL Yea I figured the green pieces were in case you added retracts but the others clueless. Well they are not extra parts, it depends on how you want to finish the Hurricane. If you look on the wings, the silver parts are the landing lights. A little hokey I know but that is what they are. The red and green are the nav lights on the tips of the wings. If you decide to actually run LED lights on your Hurricane, the clear ones are for covering the LED's. 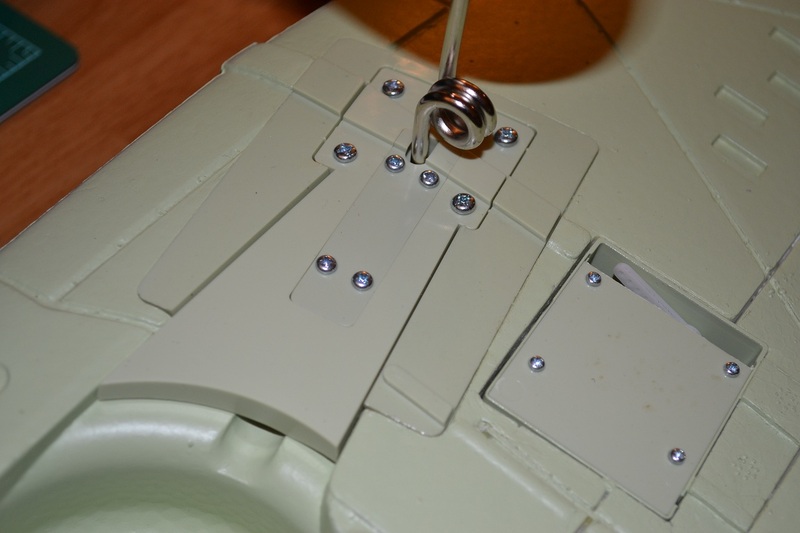 The covers are for if you install the retractable landing gears. I don't remember what the two little button looking things are. Been a while since I put this one together. I hope this helps what you are wanting!!! Actually that was huge help. I did not realize this came with a light option. Nice but I will forgo the lights. I appreciate the help. I was afraid I had missed an important step. Now all is left is to wait for a clear day for a maiden. Good luck with the maiden! It is a pretty decent flying plane. I did notice that it appeared to be a little nose heavy when landing, but a great flyer non the less.